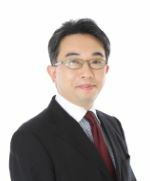 Masaki Ishioroshi, the director of this firm, attorney-at-law and patent attorney handles a wide area of legal affairs, particularly “business laws” such as corporate laws, intellectual properties including patents, trademarks, and copyrights, IT related laws and entertainment laws, product liability, liquidation of corporations, and so on. He also has experiences in legal practices in connection with medical and pharmaceutical affairs. Our lawfirm, Craftsman, LPC also gives support to your global business in such services as drafting and reviewing contracts and other documents both in English and Japanese. We believe that the above-mentioned professional characteristics along with our experiences and achievements contribute to our receiving wide recognition by corporations and businesses of various sizes. 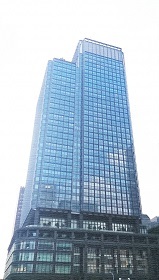 In fact, some of our clients are engineering firms located in distant areas such as Hokuriku and San-in districts. Referral is not required for consultations with attorneys with our law firm. If your consultation is related to any of our practice areas, any corporations and business owners are welcomed to consult with us whether you are listed or unlisted, whether your business is big or small. The following is some of business fields that our clients are conducting business. Please click home for our areas of practice. The above data is as of March 2016.